I’m sure any number of magazine and newspaper articles about Marc-André Hamelin must have begun with an observation on the aptness of his name. He charms, he bewitches. It was a wrench to have to choose only one of his many outstanding Hyperion recordings. To have to omit his Godowsky Studies (which were awarded the ultimate compliment of being appropriated by William Barrington Coupe in the Hattogate scandal), his Grainger, his glittering anthologies Kaleidoscope and In a State of Jazz (the latter of which contains perhaps my favourite of all his recorded performances, of George Antheil’s brash, brilliant Jazz Sonata), was very hard. Earlier this month Hamelin’s recording of his own Etudes was released, which a first listening demonstrates to be a far from self-indulgent issue. But this most mercurial of pianists is represented in my list by his disc of the piano music of Heitor Villa-Lobos. If I had to distil the essence of the music of Villa-Lobos, I suppose I would describe it as a kind of South American impressionism. His harmonic language recalls Ravel, Debussy, Scriabin, even Szymanowski at times, while his melodies have a recognisably Brazilian flavour. It’s a unique and exhilarating combination. Hamelin’s programme begins with the three jewel-like miniatures As três Marias, all inhabiting the upper realms of the keyboard, which shimmer and twinkle like the stars they represent. It’s the perfect aperitif for what follows. What follows are the two books of A Prole do Bebê, which contain some of the most beautiful piano music I know. In some respects it’s music for children – the first book consists of portraits of dolls, the second of portraits of animals – but it’s not music children can play themselves (with the exception of a few freakily good ones on Youtube like Aaron Kurz, who plays a couple of the less tender ones here – quite staggering, not to mention disheartening). 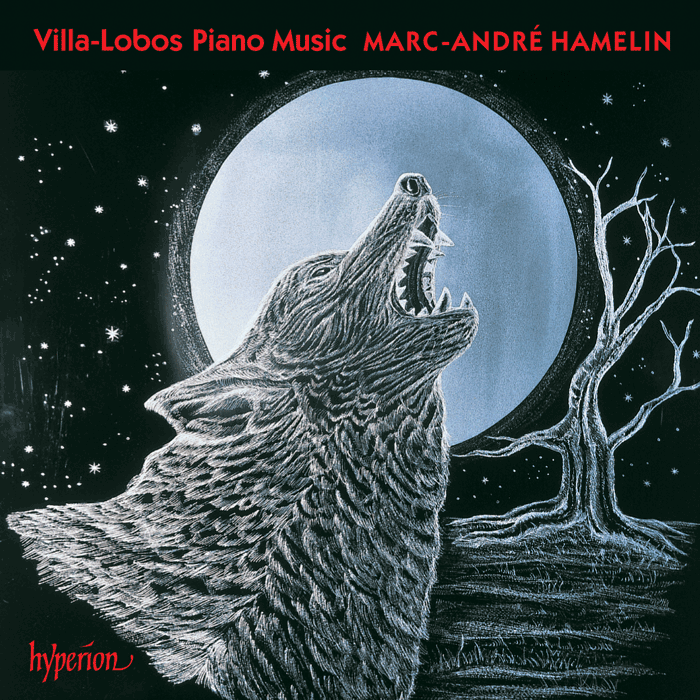 I love Hamelin’s way with the wistful pieces like ‘Mulatinha’ and ‘A Pobrezinha’, but the pyrotechnics demanded by ‘O lobosinho de vidro’ (The little glass wolf), throughout which the blaze of Brazilian colour is dazzling, do not find him wanting. The programme ends with Rudepoêma, a nearly twenty-minute tour de force written for Artur Rubinstein, one of Villa-Lobos’ greatest champions. The composer believed it captured the soul of the pianist. It’s a demanding piece to listen to, with a lot to get one’s head around. I don’t imagine there have been many pianists with either the technical mastery or the intelligence to give it as coherent and as engrossing a reading as it receives here. I could rave about Hamelin for ages, but one of his greatest gifts, it seems to me, is that he resists the temptation to put his virtuosity to the fore that overcomes some other pianists. He is always an instrument of the composer, and so let’s finish with Villa-Lobos, but not with Hamelin. Here is Rubinstein playing ‘O Polichinelo’ from the first book of A Prole do Bebê. How tremendous to have this document of the great man playing.